Especially when it comes to cutting Australian hardwood timber, you can’t make do with a dull or failing blade. The hardness of Australian timber is unrivalled by almost any other type of wood in any other part of the world. With the right sawmill equipment and the right saw blade, you can make short work of even the hardest hardwood. 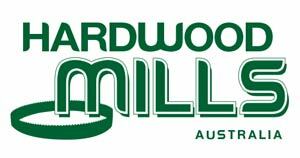 At Hardwood Mills, we can help you do just that, by providing some of the best sawmill equipment, sawmill blades, blade sharpeners, and other related tools on the market in Australia. At Hardwood Mills, we understand the technical, machine, blade, and operator requirements for cutting different timber in all parts of the world. So many sawmills manufactured in other parts of the world are perfectly capable of milling softwood or hardwood in those parts of the world. Australia’s conditions are harsh, though, and our timber is harder than average. When we designed our flagship sawmill, our goal was to create something that could cut softwood and hardwood timber right here in Australia. The result, called the GT 26, is a sawmill made for the Australian wood milling industry. Boasting a 14 horsepower engine, six metres of track and a design that allows for slab thickness of up to 180mm, this sawmill is robust and tough in ways that only Australian millers will understand. It also comes backed with a three-year commercial warranty. To get the best results out of the mill, though—and to cut and slab Australian hardwood successfully—you will need to keep the bi-metal blade razor sharp. The bi-metal saw blade we designed for the GT 26 is an extremely tough and well-made blade. At proper sharpness, this blade can slice through Australian hardwood and exotic species alike. However, it’s important to remember that even the best blades can’t stay sharp forever. We typically recommend that users don’t try to go for more than about two and a half hours of blade use without re-sharpening it. Our blades will support 5-7 sharpens, depending on the type of hardwood you are cutting. Luckily, if you need to find a replacement saw blade for sale, you can buy them directly from Hardwood Mills. We stock our blades in single blade, two blade, three blade, five blade and ten blade packages. Each blade costs $119. When you buy saw blade replacements through us, you can trust that it is the same model, with the same sharpness and toughness, that came with your GT 26 sawmill in the first place. Our blades will keep your mill cutting as it was meant to cut. If you know you need to replace the blade on your GT 26 sawmill, don’t put off the purchase. Sharp blades will lead to cleaner, faster and safer cuts on even the hardest Australian timber. To find the right saw blade for sale, contact Hardwood Mills today.